Morphemes are the smallest meaningful linguistic units. 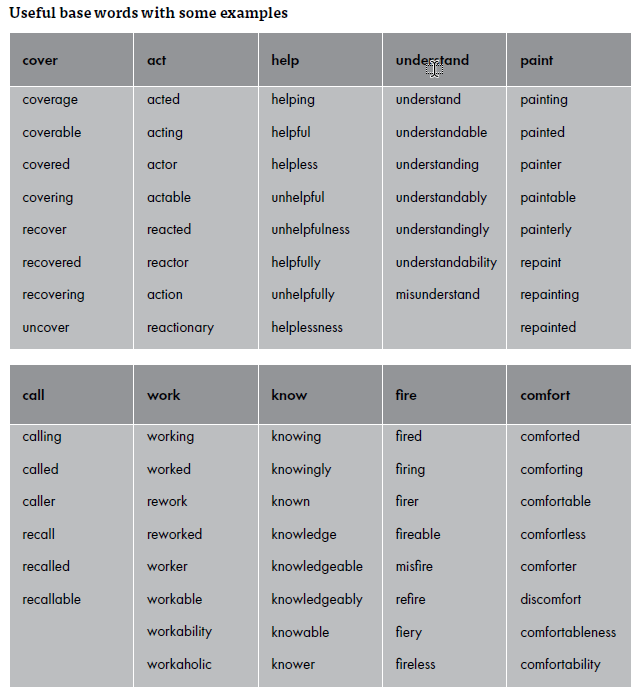 They include base words, suffixes and prefixes and indicate changes in verb tense, possession and plurality. For example, the word ‘reacted’ has three morphemes. The prefix, ‘re-’ meaning mistaken, wrong or incorrect, the base word ‘act’, and the suffix ‘-ed’ which makes the word past tense. Morphemes are often underutilised in spelling programs but explicit teaching around morphemes can have positive effects on spelling accuracy. Morphemic awareness is a tool for problem-solving and can increase vocabulary by helping students to work out the meaning of words. 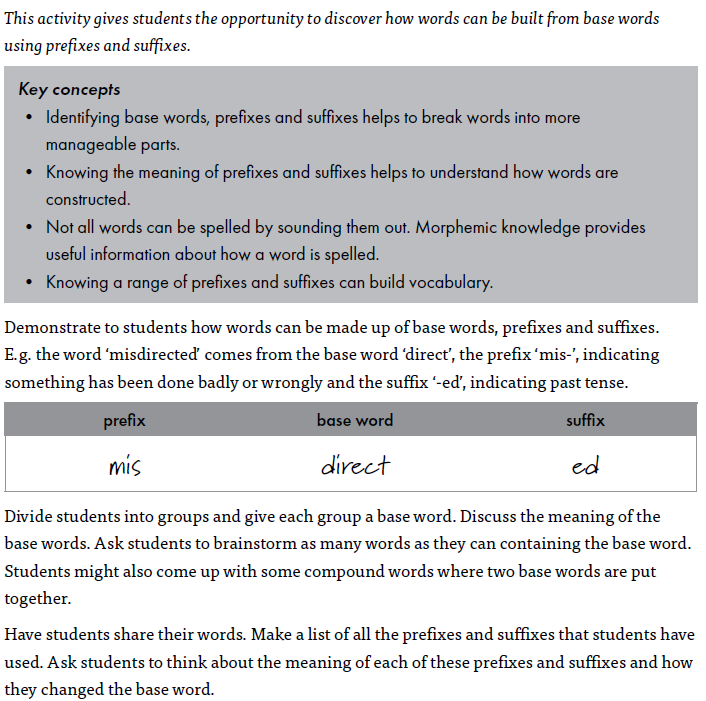 The following is an activity which helps students build morphemic knowledge. It is taken from the book ‘Spelling: a strategic approach‘ by Lee Kindler and Jan Hagston, ‘Spelling: a strategic approach‘ will be available from Multifangled in March.